Jordan Brand started the brand New Year with a bang as they released the highly-anticipated 10th signature shoe of New York Knicks superstar forward Carmelo Anthony. The Jordan Melo M10, which hit the market last Saturday, is now making a lot of noise in the sneaker market. 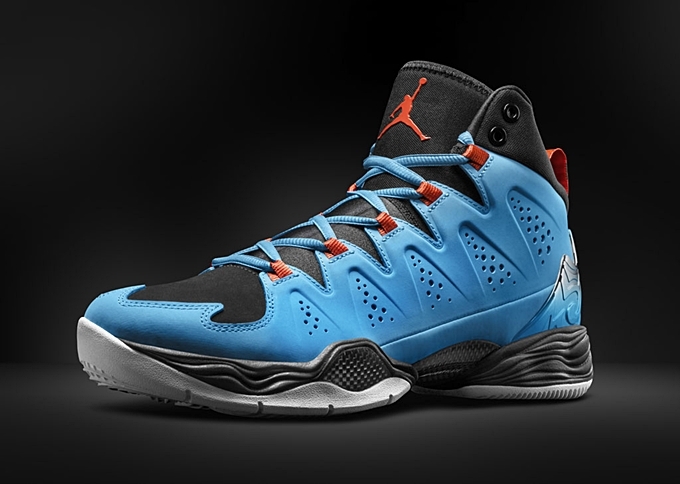 Officially listed as the Dark Powder Blue/Team Orange-Black-White colorway of the shoe, it features powder blue upper part combined with a unique blend of multiple hints plus a chrome-finished Melo signature logo. The shoe sports a full-grain nubuck leather upper part for premium look and TPU heel counter for superb stability and maximum support. With its unique feature and eye-catching look, there should be no doubt that this shoe is a must-buy!